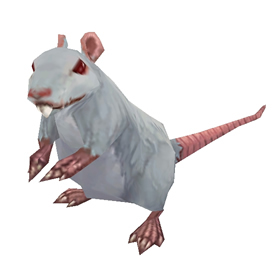 Although the Pet Journal lists Tirisfal as the location for this wild pet , the Undercity Rat can most commonly be found in Undercity. Hint for Alliance. If you go through the sewers entrance then there is only two guards stationed togather just at the end of tunnel opening into Undercity. So if you can run past them (they will shoot at you, just need to get to the edge as quick as possible), you will end up in Undercity falling to your death (funny, I know -.- :P). 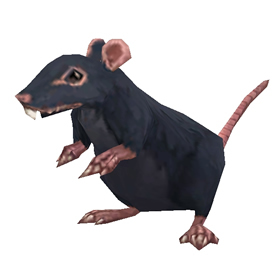 If you then revive your corpse out of the water then there are rats close to you to quickly nab up then hearth out of there :D. Good luck! Thanks for the tip to kill the non-combat critters to get the battle pets to spawn! I have a rare S/S male rat since before. Today I went back, trying to fins a female rare or uncommon. So far I have captured 12 uncommon rats, all having the same breed: S/S male. Are there any females at all? I really only play my main which is Alliance. I notice I'm missing a low level pet on my list. 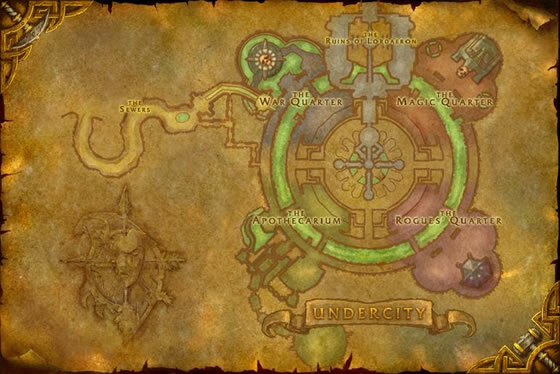 So I fight my way down to undercity really never being there before. After finding my way down there and getting killed once by some Toons and NPC's I get lucky and respawn right over the Undercity Rat I need. I capture the pet and get the heck out. It was one of those WoW moments that make this game great. i had more fun then if I leveled a horde toon and caught it the easy way. I definitely proved my "Crazy Cat Lady" title on my little goblin warlock. Running around in circles spamming Hellfire with her little arms waving over her head as I slaughtered lesser critters. It took about an hour but finally got him. Just plain annoying, wish Blizzard would fix this!! update.. spent hours running round and round on my (was) lvl1 bank alt (which is now lvl5 from doing petbattles) NO rares /sigh!! leveled my bankalt to 5 before i saw a rare one, then caught my second rare not even five minutes later. both of them were in the circle containing the auctioners. It took me roughly 2hrs and about 15m. I generally set my limit at 15 to 30m but I figured this one might be tough if I didn't get lucky and really didn't want to tempt myself into wasting stones. I set my 2nd screen up to watch ST:TNG and went at it. Many slow laps later and ~20 newly leveled from 1-5 pets (and 2 character levels, from 2 to 4), I caught this little scamp. Good Luck. Think of it like leveling fishing and you'll be fine, you may even just get lucky! This is easiest on a Horde toon of course. I recommend making a lvl 1 Undead if you do not have a Horde toon already. I got my rare after about 40 minutes. Breed doesn't really matter on this guy, there are tons of other rats and mice that share the same stats which are easier to farm. If you really must have the most optimal breed, go for an S/S. I decided to fly over Undercity to see if I spotted one of these from the sky, and I actually did... snuck in with my nelf rogue (challenges make the game fun!) and managed to make it in there, find the thing and catch it without anyone seeing me. I probably could have made it back out alive if I wanted to but no, that wouldn't have been fun... and I let a couple of bats have at me for a couple of minutes before I finally died, and not a soul came even though I was yelling. That place is dead. So, I decided to go around upgrading some of my uncommon pets to rares and came across this one. What an unhappy grind. All told it took about 4 hours to finally find a rare. With the amount of critter battles in that time, you'd think the game could have given me a break and let me loot a critter-stone. OMG! It took me forever to get a rare. After a number of times around the outer two circles, I figured out which non-pets were placeholders for the pets. Try killing every single mob till you figure it out. As others mentioned, skip the Royal Quarters except for one thing: Place a bug report. Suggest they either fix the pets or remove them. I can confirm that emparting mass maggot/rat genocide WILL make these guys spawn. It still took me about 2 hours of circling Undercity to find my rare, but killing all battle pets around worked to help ensure new Undercity Rats would spawn. Side note, there are a few in the Royal Quarters by Sylvanas, but they seemed to always be impossible to engage due to the infamous "uneven ground" dreaded message. Better to just circle the Auctioneers and around the slime river. I found mine after ca. 15 - 20 mins killing maggots and roaches. First and only I saw was a rare yippee! Just found a rare quality Undercity Rat in the War Quarter on my horde alt. It's taken me many laps around the City, you have to be patient in this pet taming lark, but I finally found one. Read somewhere else that if you kill the critters and battle pets that you don't want that they will then respawn. And wow - it worked, but after a 1/2 hour of this I still have not found a rare...and now it's jsut giving me maggots, LOL, so I think the game is onto me. 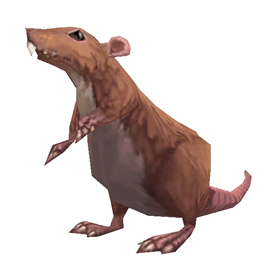 Even the rats of Lordaeron fell to the apothecaries' plague, chewing upon the tainted flesh of the dead.